But the knife is definitely a crooked knife. 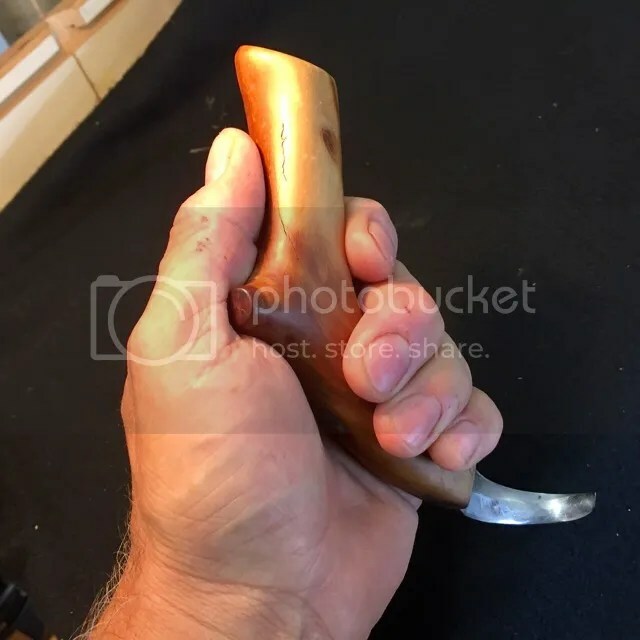 The crooked knife is one of the principle carving tools of native folks of the Pacific Northwest, or First Nations’ People, as they say in Canada. 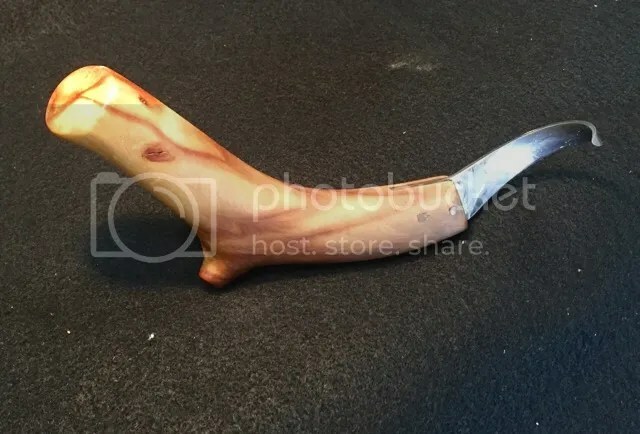 I made my crooked knife in a class taught by a First Nations carver. It has a manzanita driftwood handle, and a blade made from an old Sawzall™ blade. Bear with me as I work to improve my video skills!